Learning by coloring involves visualizing some thing that has no color, and choosing…and using… a color for it that has meaning to you. 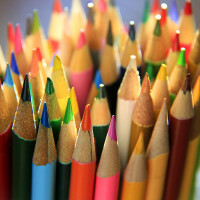 You pick the color….you use the color…and on completion of coloring, you just learned what you colored! That is kinesthetic learning. It’s friendly and it’s fun! In 1970, an assistant professor of anatomy, Lawrence McClellan Elson, was preparing to give a lecture to a class of medical students at the Baylor College of Medicine in Houston, Texas. The preparation consisted of making a number of drawings on the five (5) chalkboards in the teaching amphitheater of the Department of Anatomy. Multiple colors of chalk were going to be used to represent number structures, such as arteries (red), veins (blue), nerves (yellow), bones (white) and muscles (brown). The outlines of these structures were drawn with white chalk and would be colored over during the lecture. When the 50-minute lecture was over, Dr. Elson’s white lab coat was covered with a chalky abstract of mixed colors. A colleague noted that it was too bad that the students could not have experienced the “chalking” as part of the learning experience. A short time later, Dr. Elson was in New York visiting his editor at McGraw-Hill. The editor showed him a huge atlas of highly colored anatomy. Dr. Elson acknowledged the beautiful artwork and thought that it was too bad that the students could not have experienced putting all the colors to work in that atlas! Five years later, Dr. Elson made an agreement with the New York-trained illustrator and designer Wynn Kapit to undertake the drawing of such a coloring book under his direction. Kapit had earlier developed an idea of connecting the name of an object to the object itself with the same color using letter/number identifiers. Well within a year, the first Anatomy Coloring Book was born and published by Canfield Press, a subsidiary of Harper and Row Publishers, NY in 1977. The “ACB” was an instant success and has been ever since its inception nearly 40 years ago. 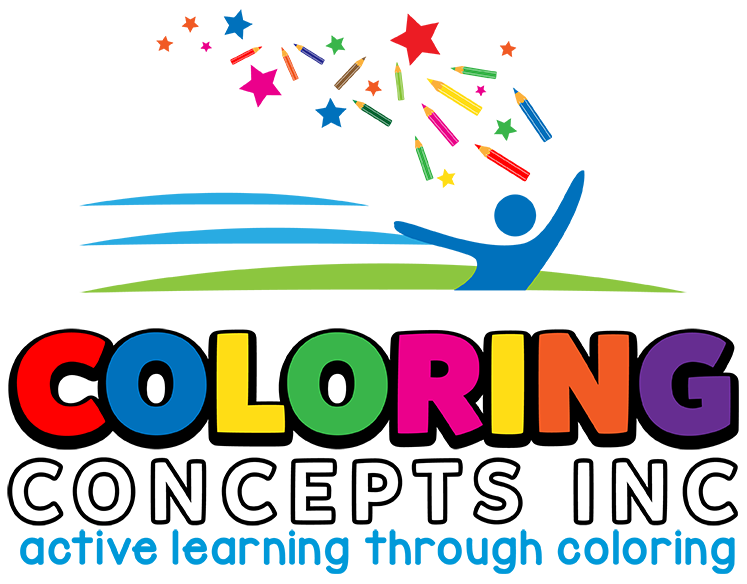 Dr. Elson formed Coloring Concepts, Inc. (CCI) in 1980. 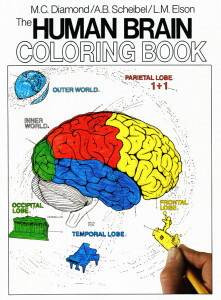 The first college-level coloring books in the natural sciences by CCI were published by HarperCollins (New York) in 1982.